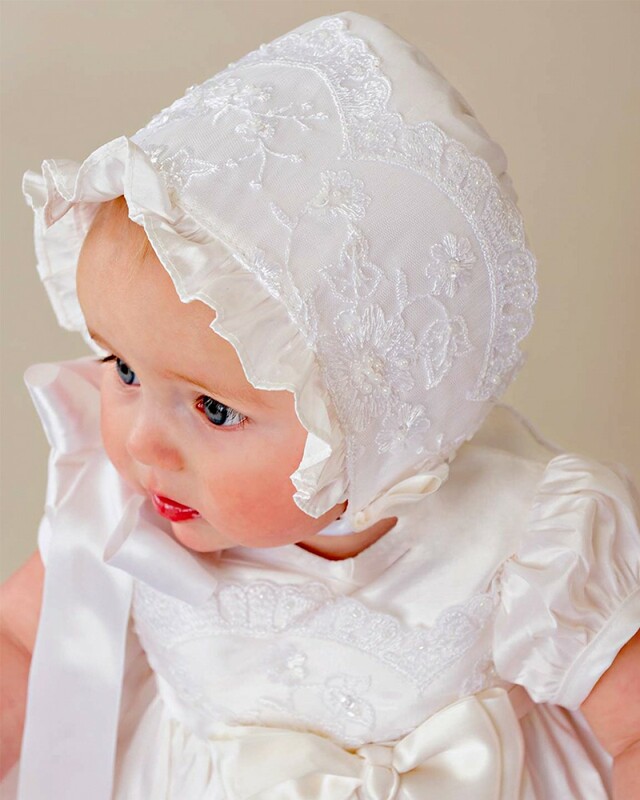 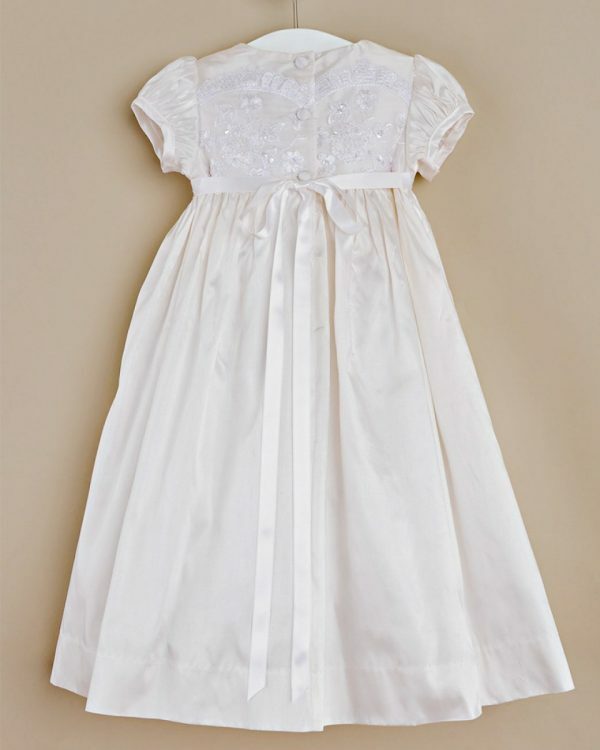 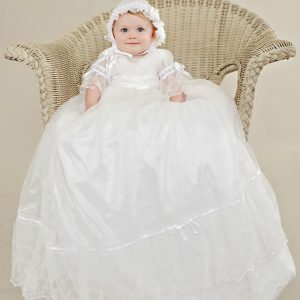 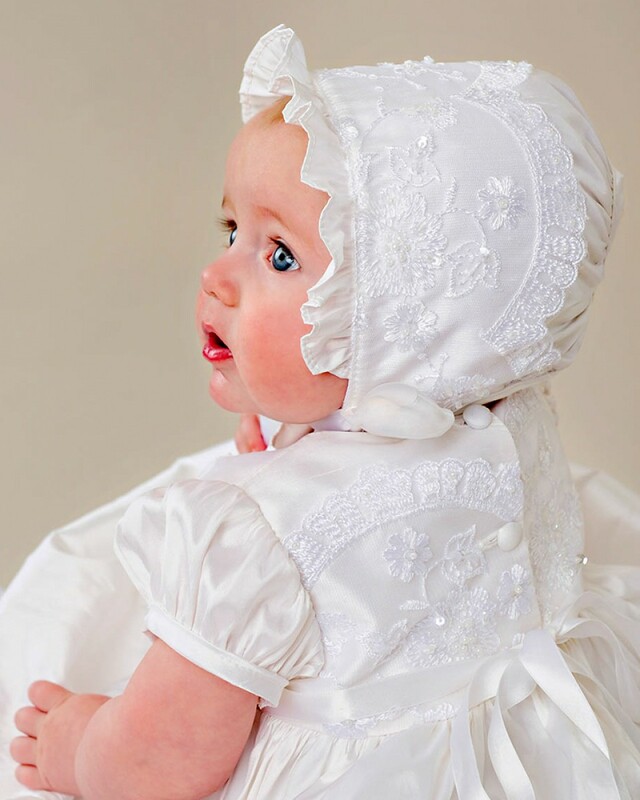 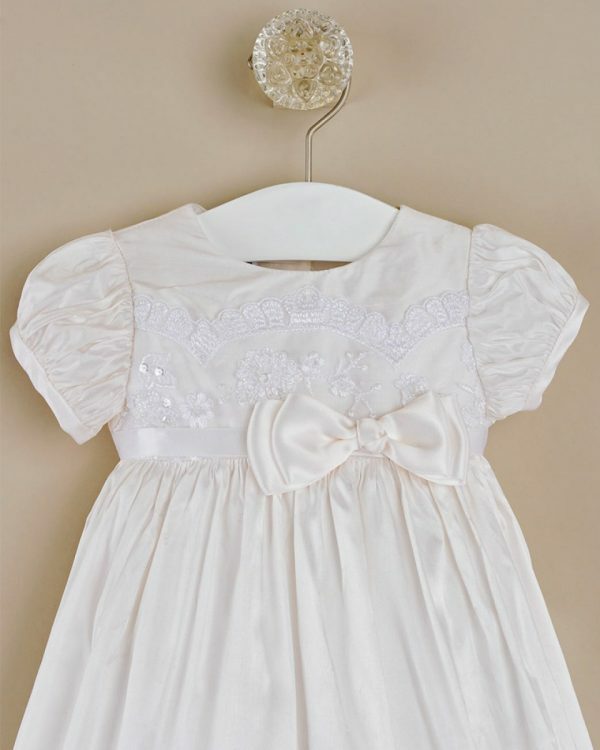 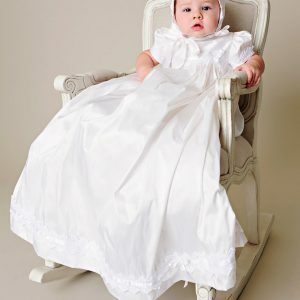 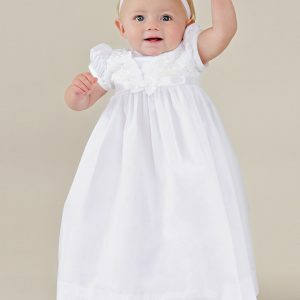 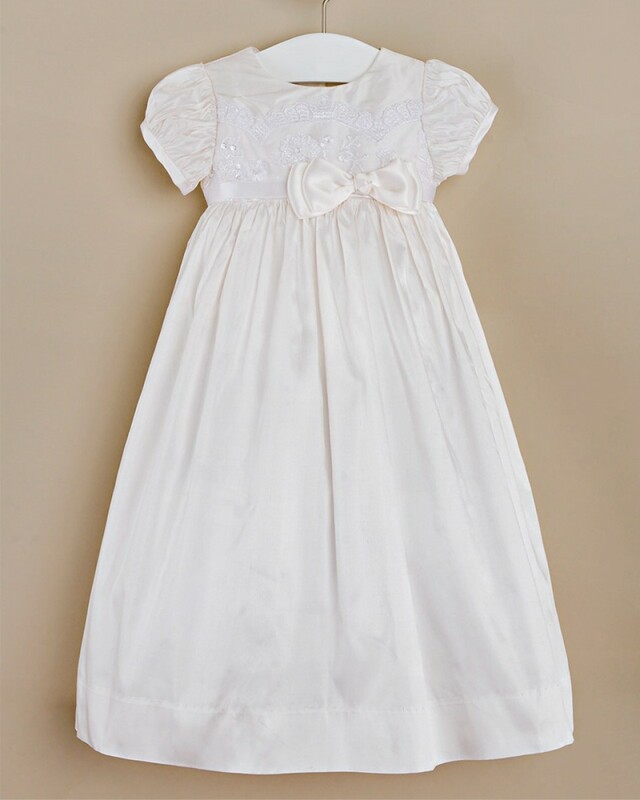 Simple elegance with the perfect touch of glam, our little Isabella silk christening gown has what it takes to steal the show! Fabric: 100% silk dupioni (a subtly textured fabric woven from a double strand of silk yarn in a plain weave pattern. 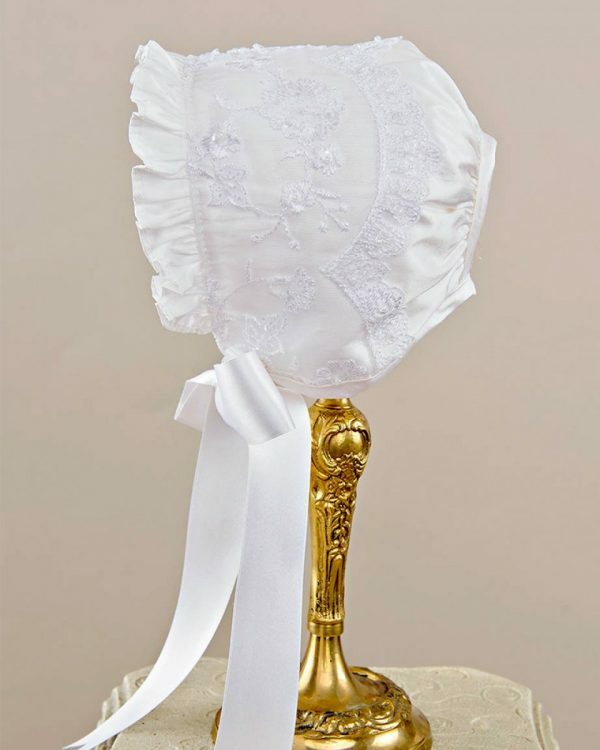 The yarn is uneven and varies in width, creating a series of natural horizontal “slubs”, which should not be considered flaws, as they make up the unique character of the textile), embroidered lace is 100% polyester (sheer net in a hexagonal mesh pattern; has a light to medium stiffness).